With The Beatles is the inferior follow up to Please Please Me bogged down by average covers similar to the ones that stopped the predecessor from being a classic. That said, there are some terrific originals and plenty of signs that the songwriting partnerships are getting stronger. Harrison writes his first song also which is a good if not outstanding contribution, and Ringo even sings well on I Wanna Be Your Man. The album gets off to an excellent start, but has an average middle section before saving itself with a few good tracks towards the end. `It Won’t Be Long’ kicks off the album in stonking style, full of call and response vocals, and plenty of `yeah yeahs’. It is a high tempo rocker from Lennon which has both an interesting middle section and ending typical of the Beatles songs of this time. These sorts of flourishes prevented what were essentially simple pop songs from becoming monotonous verse chorus verse types. It shows that the group were trying new things and pulling influences from all types of music into their own. `All I’ve Gotta Do’ has a distinct Motown feel given a moody tone by Lennon’s vocal and features yet another middle section. The lyrics speak of a powerful, lustful relationship where either party simply needs to call the other, and they will come over. `All My Loving’ rounds off the opening trilogy of great songs in a fast paced style and is notable for the interesting guitar strumming style. The lyrics are similar to PS I Love You in that they are in the format of a letter being sent to a loved one. A simple tale of faithfulness and love to a partner when being away. `Don’t Bother Me’ is Harrison’s first song for the group and is a departure from the love songs the others had been writing. It speaks of a need to be alone, and the depression, confusion, desire of reconciliation etc which we feel after a split. It features a jazzy, Latin feel and a strong staccato guitar solo. `Little Child’ in some ways continues the sullen feel with the `I’m so sad and lonely’ lyrics. `Till There Was You’ is the first cover on the album and is based on a Broadway song. It is a gentle ballad which fits McCartney’s voice but it is made annoying by him singing ‘Saur’instead of ‘Saw’. Picky maybe, but it gets me every time. George’s plying is pretty good here lifting the song a great deal. `Please Mr. Postman’ is one of the better covers the band ever recorded and could be seen as the definitive version. Lennon adds to the natural pleading tone of the song with his yearning, desperate vocals. `Roll Over Beethoven’ however is one of the lesser covers and is less interesting than the original. The whole song sounds like a bit of a joke when they play it and you can almost hear the gang laughing as they sing. `Hold Me Tight’ is a fine song, but is pretty forgettable. It struts along at a fair pace but lacks any interesting guitar playing and while repetitive is still an ok album track. Any song which features clapping though instantly annoys me. 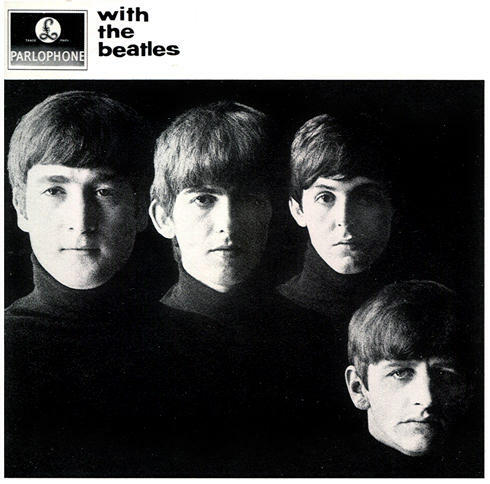 `You Really Got a Hold on Me’ is another poor cover which doesn’t seem to suit Lennon or Harrison’s vocals. The Michael Jackson version is probably the best as it properly conveys the emotion of the song, while Lennon simply sounds drunk. `I Wanna Be Your Man’ gets things back on track and is probably Ringo’s best song. It is fast, heavy, with some impressive guitars and shrieks that would blow off a mini skirt at a hundred paces. Simple lyrics and a pretty simple tune with no frills, but done with such energy that it can’t fail but be enjoyed. `Devil in Her Heart’ is a strong cover and repeats the jazzy, Latin feel of previous tracks. Harrison sings it well and the more cynical lyrics also mirror a few other tracks. The guitar playing is nice throughout and the melodies make it fairly memorable. One of the good early ballads. `Not a Second Time’ is an ok album track, marked by matching guitar and piano playing and again features cynical lyrics, this time sung by Lennon. The melody throughout is catchy and the ending fades out nicely. `Money’ closes the album with dual piano and bass/guitar and is probably the best version of the song. It features a few screams and fits perfectly with today’s fame hungry world. Not their best cover but an ok end to an ok album. Overall With the Beatles is a step down for the band if not a step backwards. There are plenty of great moments, but too many fillers prevent the album from being mentioned in the same breath as those which would follow.